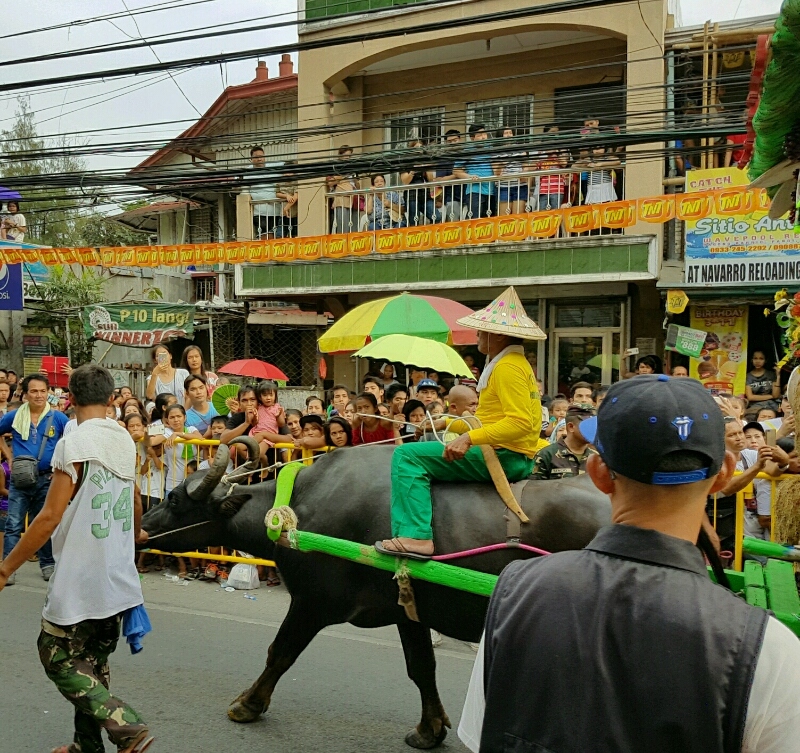 Last Sunday (May 14, 2017), I went to Pulilan Kneeling Carabao Festival so I could see my favorite creature. The parade was scheduled to start at 2:00 in the afternoon. 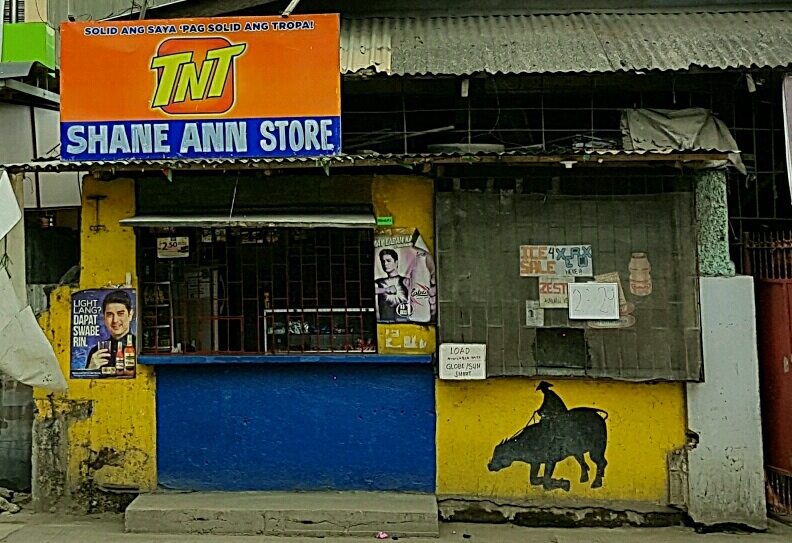 I was already there by the road near the simbahan at around 1:30 PM. It was hot and umbrellas were out. By 2:00 PM I could hear the emcees blabbering and commenting in the same manner as the hosts of noontime TV shows. It exacerbated the heat. Then and there the parade started with humans and several band groups. It went on and on for 1.5 hours while the crowd waited patiently under the sun for the handsome beasts. 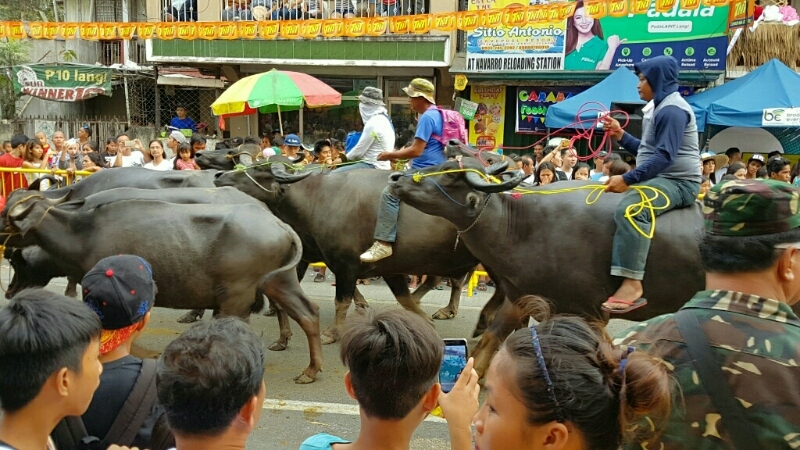 At last, it was the carabaos’ turn and the crowd became alive. 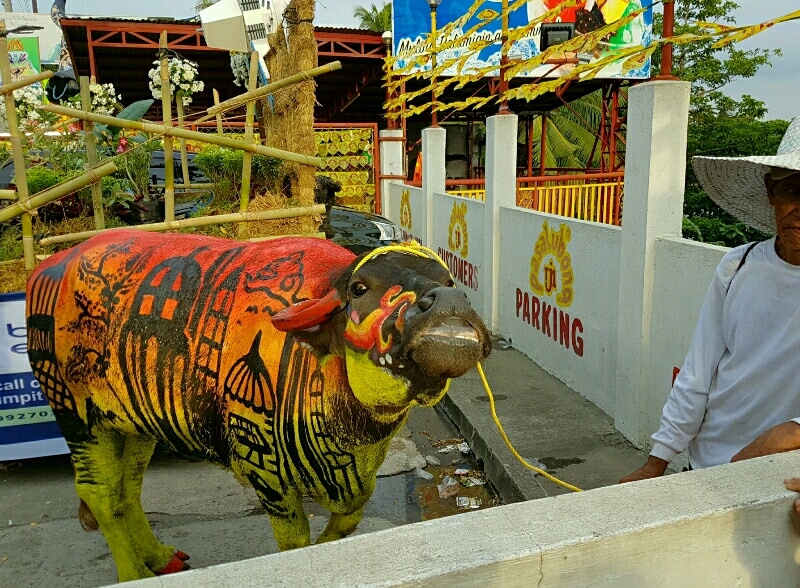 First set of carabaos paraded bearing their corresponding float representing the barangays of Pulilan. Some carabaos paused now and then to kneel. Yes, kneel, at the prodding of their masters and to the delight of most spectators. 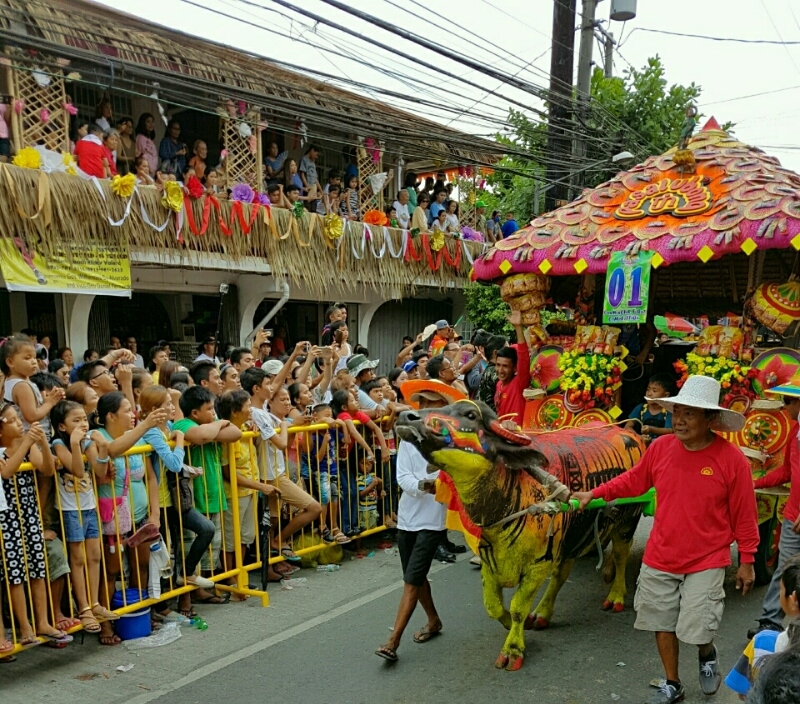 Next set of carabao-float combination were from the commercial establishments. 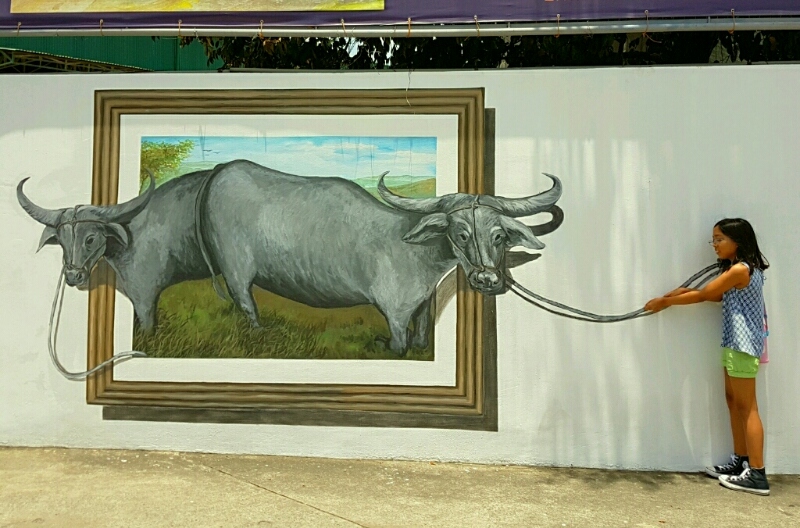 Because you’re not there, just imagine Jollibee riding a carabao. Finally, the last set was the most exciting and dangerous segment of the parade. 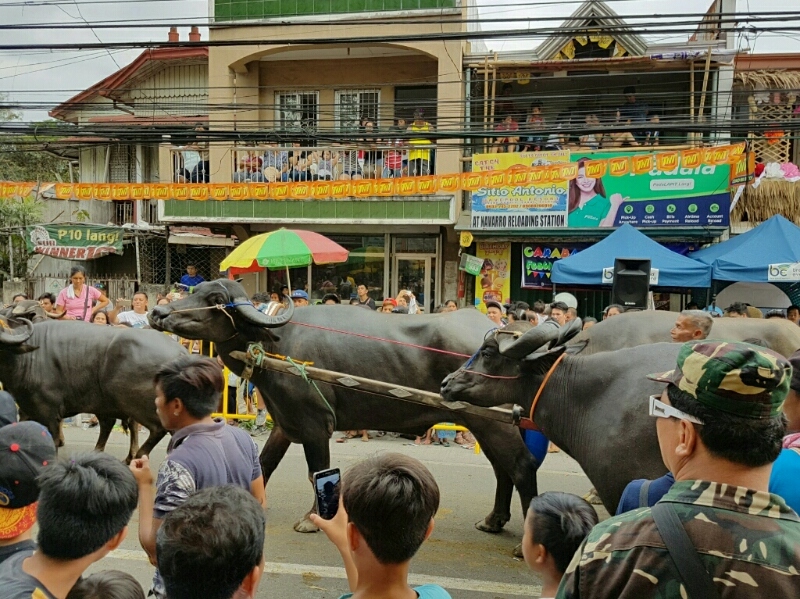 Hundreds of carabaos paraded in honor of San Isidro Labrador, the patron saint of the farmers. Ms. Emcee announced earlier that 800 carabaos will participate. I was relieved that only one went a bit wild but it was enough to make the frightened crowd dispersed at that moment.